Stop worrying about aging. It’s not something that you can hold back anyway. It’s your body’s performance and your appearance you should be worried about. Wouldn’t it be nice if you can think of age as just a number? Well, getting older really wouldn’t matter at all if you can give yourself more years to perform optimally, and it all starts by watching what you eat! Are anti aging products safe? Aging is inevitable although we had like to know a magic formula to eternal youth and tight, glowing skin. What is the best supplement for wrinkles? For decades, health experts and beauty enthusiasts have been preaching that what you put in your body definitely impacts how you age. How long do fillers in the face last? There are many non-surgical treatments available to help hide fine lines and wrinkles and Dermal Fillers are one of them. In todays world, people are living longer due to healthy lifestyles and diets, and many individuals are looking for ways to look as healthy and good on the outside as they feel on the inside. What is the best anti aging skin care? Is there a fountain of youth? Thats a question that many people have asked themselves when they saw a wrinkle on their face, or when they thought that there was no solution for their skin aging. Kremotex is an anti-wrinkle cream that makes use of apple stem cells, which is a cutting edge skin care component that has the potential of turning the aging clock back in order to ensure that your skin gets rejuvenated. What do anti aging creams do? The process of skin aging is a complex phenomenon influenced by various extrinsic and intrinsic factors. What vitamins to take to look younger? Stop worrying about aging. Its not something that you can hold back anyway. How do anti Aging creams work? Every woman tends towards having perfect skin. It is an almost unavoidable issue for every woman to keep her skin untouched by the aging process. Load up on foods rich in these anti-aging vitamins and you will most certainly defy fine lines and back pains even as you get older. Other than benefitting your immune system, Vitamin C is packed with antioxidants that help the body fight free radicals which damage otherwise healthy cells, including your skin cells. Vitamin C also plays a supporting role in the body’s effective absorption and utilization of Vitamins A and E, two other micronutrients important for promoting skin health. When the power of these three vitamins combine, you also obtain natural protection from the sun’s harmful UV rays. What’s more, Vitamin C speeds up the body’s capability to produce collagen, fibers that are vital in skin cell repair. 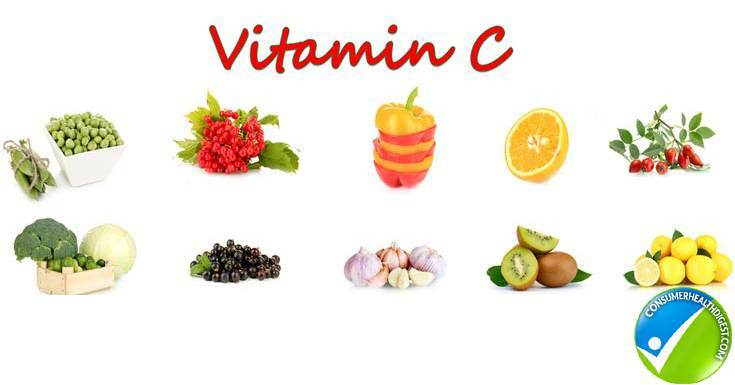 In the process, Vitamin C also speeds up resurfacing of younger looking skin. Foods rich in Vitamin C include bell peppers, broccoli, currants and berries, kiwi, oranges, and hot chili peppers. Can vitamin C reverse wrinkles? Wrinkles and fine lines develop due to several factors, the primary cause is the natural ageing process. As we age, connective tissues in the skin, primarily collagen and elastin which are found in the second layer of the skin (dermis) begins to breakdown. Collagen and elastin fibers play significant roles in keeping skin healthy and young-looking by capturing and holding moisture in the skin. As collagen and elastin fibers erode, fine lines develop and skin starts to sag. Smoking, sun exposure, repeated facial expression, and poor nutrition all speed up the aging process. Smoking does not do your health including your skin any good. Tobacco smoke produces at least 4,000 chemicals, many of which are poisonous while at least 50 are known to cause cancer1. It’s time to break the habit if you want to salvage your health and your skin from further damage. Exposure to the sun’s ultraviolet radiation causes skin to dry up, and damages collagen and elastin fibers. UV rays have been observed to significantly speed up skin wrinkling and sagging. 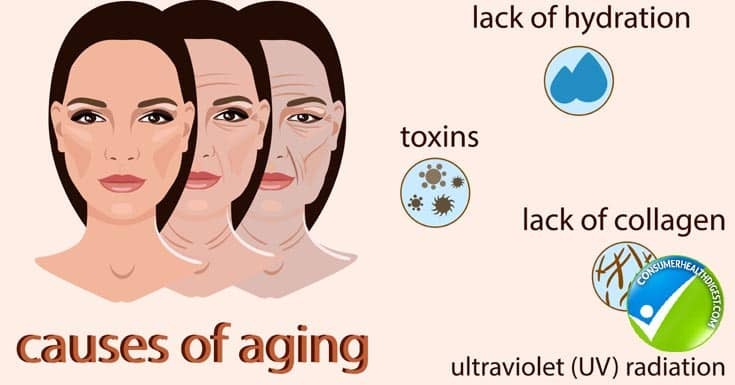 Frequent and unnecessary exposure to sunlight is the main cause of premature aging. Fine lines and wrinkles often start to develop creases in areas of the face used for facial expressions. With natural ageing, the skin’s elasticity diminishes and slowly, lines that form whenever you smile or frown become permanent. Poor eating habits deprive your body of the nutrients it needs to stay healthy. Skin likewise becomes poorly nourished and experiences difficulty keeping hydrated. One of the most essential nutrients to help protect your skin from developing fine lines and premature aging is Vitamin C. Most topical skin care products will contain a certain amount of Vitamin C. Vitamin C acts as an antioxidant thus, effectively preventing cellular damage, including on skin cells, by fighting off free radicals. Free radicals can be found within our bodies through food that we eat or through our surroundings, including pollution. Free radicals can combine with cells, causing cells to become damaged or to die. Vitamin C helps bind a collagen and elastin fiber which is important in maintaining healthy tissues, gums, skin and cartilages. When these fibers are strongly bound, the skin has higher moisture absorptive capacity and becomes more capable of holding in nutrients and water. In order to take advantage of the skin protecting benefits of Vitamin C, it must not only be derived from topical skin care products but also from your diet. Vitamin C boosts our immune system, and aids in maintaining the healthy and normal functioning of cells including skin cells. In a study2 conducted by Cosgrave, et.al., it was concluded that people who consumed higher amounts of Vitamin C in their diets developed less fine lines and wrinkles than people who consumed more fat and carbohydrates in their diets. In addition, it was also shown that people with diets high in omega-3 rich or linoleic acid rich foods are also less prone to skin wrinkling. Green and leafy vegetables, and citrus fruits are all rich in Vitamin C. However, Vitamin C from foods is often easily lost from food storage, cooking, or processing. Foods rich in linoleic acid include many nuts, salmon, and other fatty fish. Skin care products that contain Vitamin C should be stored and kept way from direct sunlight and must not be exposed to air. 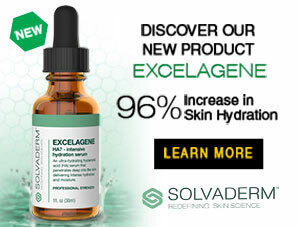 If it comes to choose the anti-aging cream, you can try Plexaderm Review which might be useful to you. 2Note: Cosgrove, Maeve, et. Al. “Dietary nutrient intakes and skin-aging appearance among middle-aged American women” 2007 American Society for Clinical Nutrition. October 2007: vol. 88, p. 480. Retrieved from: http://ajcn.nutrition.org/content/86/4/1225 Accessed on: 4 Jan 2014. Vitamin E provides skin with both protection and recovery from damage. A fat-soluble vitamin, Vitamin E strengthens skin and makes it more capable of capturing and locking in moisture. It also improves your skin’s elasticity. When skin is moist, it is less prone to skin damages resulting to wrinkles, fine lines, dryness, and blotching. The recommended dietary allowance of Vitamin E for a healthy adult is 15mg. Anything more than that can do you more harm than good. If you’re eating well, there’s really no need for Vitamin E supplementation. Broccoli, almond, hazel nuts, kiwi, avocados, and spinach are excellent sources of Vitamin E.
Vitamin A is vital to skin health. The first thing you must understand about Vitamin A is that it consists of a large group of micronutrients which can be broadly divided into retinoids and carotenoids. Retinoids are a group of Vitamin A nutrients that you can derive directly from animal sources, and are especially important as you age because it helps the body maintain production of red blood cells and improves immune resistance as well. Carotenoid forms of Vitamin A can be derived from plant sources. If you don’t want to lose your eyesight too early when you’re older, you’d want to load up on spinach and kale which are rich sources of carotenoids, lutein and zeaxanthin, the only carotenoids found inside the retina. If you eat a well-balanced diet, you only need to take plant sources of Vitamin A since healthy individuals can naturally convert Vitamin A from plant food into retinoid sources. You must know that retinoids help keep off those creases and lines from forming on your skin. Other great sources of Vitamin A are sweet potatoes, carrots, romaine lettuce, and mustard greens. Other than these vitamins you might take a look over MD Complete Skincare Review; which suggests you better options. Fats are not generally bad for your health. Even the World Health Organization recommends a small portion of fat to be included in your diet but you’d want to be smart when selecting which fat to include on your plate. Widely known as “the good fat”, Omega-3 fatty acids are important in keeping skin young-looking but, more importantly, in keeping your heart healthy. Despite the critical function Omega-3 performs for the body to stay healthy, especially in keeping your cholesterol levels at bay, your body cannot produce these healthy fats. Aim for at least two servings per week of Omega-3-rich foods like salmon, tuna, sardines, and trout. Increasing intake of antioxidants as you age could be vital in helping your body cope with aging. Antioxidants protect cells from damage caused by free radicals which destroy the structure of healthy cells eventually causing cell damage and death. Free radicals may be obtained from food we eat, as a by-product of various body processes, and are regularly present¬ in the environment. Maintaining high levels of antioxidants help the body fight cancer, heart diseases, and even skin aging. Green tea, coffee, apples, berries, and red wine are excellent sources of polyphenols. With age, metabolism slows down. 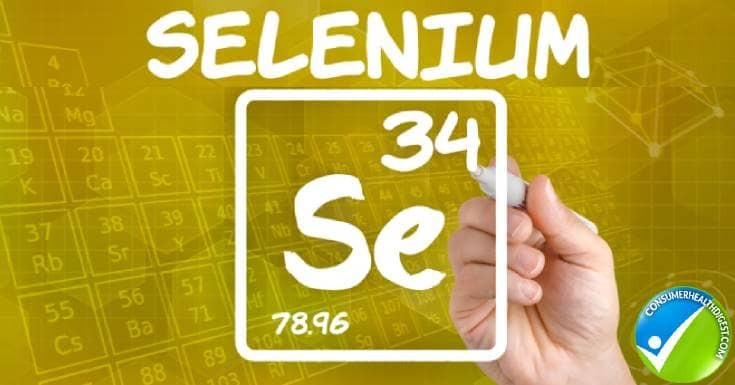 Incorporating foods rich in selenium aids your body in maintaining a healthy metabolism. This is particularly important in breaking down complex compounds and make them available to fuel body processes, while also ensuring that wastes are excreted so that they do not become toxic to the body. Selenium also improves your skin’s elasticity and protects it from sun damage. Foods rich in selenium include garlic, eggs, and crabs. Water does not exactly belong to this list of essential anti-aging vitamins. However, because it is a vital, perhaps it is the most important, nutrient your body needs to fight aging, it is included in this list anyway. It can’t be reiterated too many times that two-thirds of the body is made up of water. It fuels all body processes. In fact, when you have insufficient amounts of water in your body, essential nutrients fail to be distributed properly throughout your body. 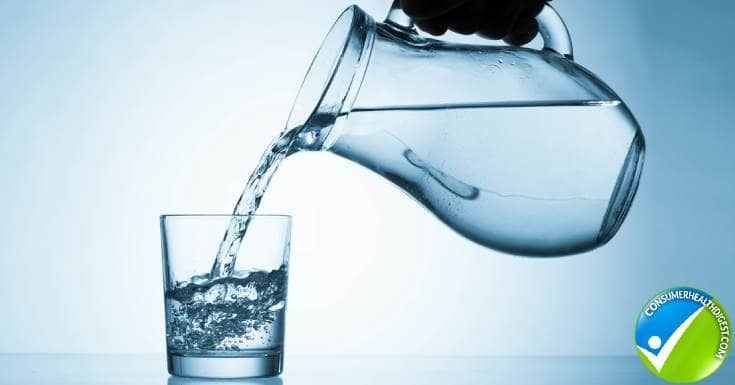 The result is that your body does not only end up dehydrated but also poorly nourished. Other than taking in sufficient amounts of water straight from the tap, food sources which contain high amounts of this mineral are watermelon, pineapples, and cherry tomatoes. It is generally difficult to track how much of these vitamins and minerals you’re taking in on a regular basis. What you do need to learn is to take a balanced meal with as wide a variety of foods as possible. Maintain a colourful plate every time you eat. These simple rules of thumb will give you the assurance that you’re getting the nutrients your body needs to function well and fight aging. However, to prevent wrinkles & fine lines for long term you may endeavor best anti wrinkle creams such as L’Oreal Revitalift Miracle Blur, which not only prevent wrinkles but gives a flawless skin. What are the Best Anti-Aging Ingredients That You Should Look for?